DJ SINISTER AND HIS COUNTRY FRIED MIX are on there way to Austin, Tx to put the icing on the cake. 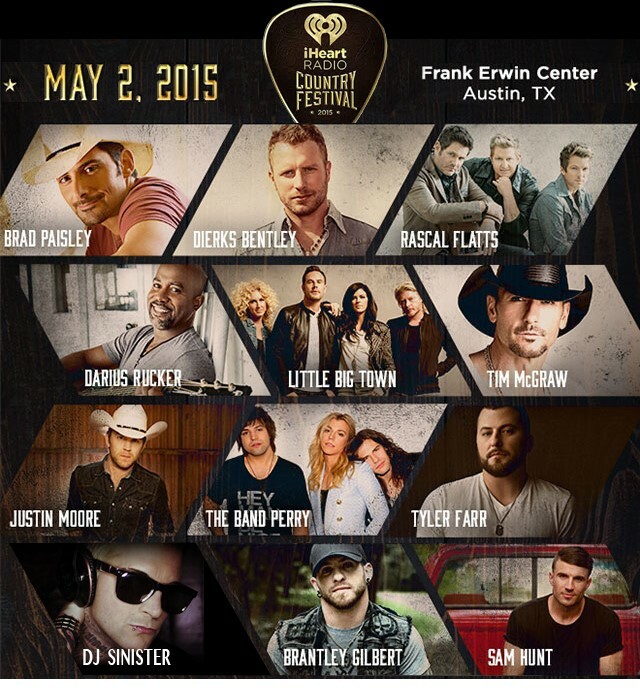 Added already to a powerful line of Country Super Stars including Tim McGraw, Brad Paisley & Dierks Bentley. DJ SINISTER will bring his Country Fried Mix to the Frank Erwin Center May 2nd 2015 to rock the party with his Country Remixes & Mash ups. DJ SINISTER has the #1 Internationally Syndicated Country Remix program on radio. Next post Music Producers Dj Sinister and Charlie Pennachio keeping busy the past few months.